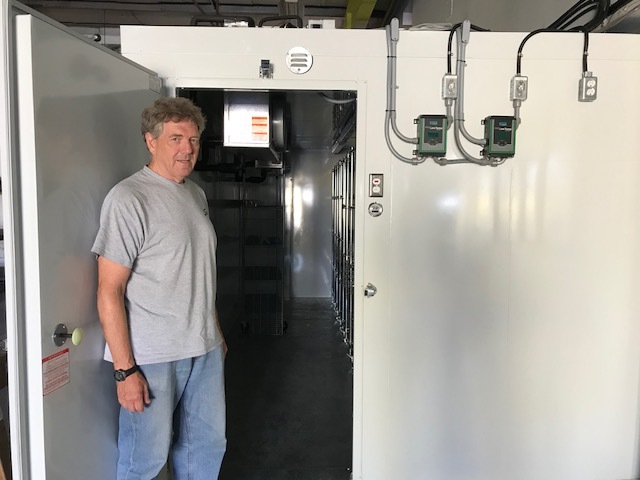 Chief Operating Officer Ed Patchell standing by the door to the new seed storage facility at the Ferguson Forest Centre. Photo: Jennifer Westendorp-Juice FM. The Ferguson Forest Centre (FFC) now has its own seed storage facility. 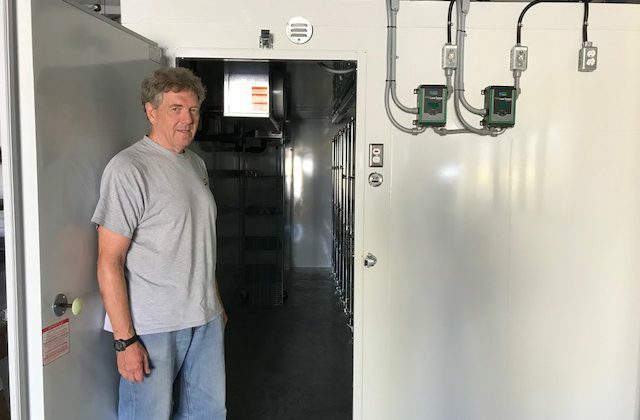 Installation began in June and the storage unit is now fully operational and awaiting seeds from the Ontario Tree Seed Plant in Angus. The FFC made the move to construct the facility following the announcement to close the Angus plant. The unit will house seeds for the FFC and its reforestation and science development partners. The facility can hold 50 million seeds. Chief Operating Officer Ed Patchell says the unit keeps the moisture content down in the seeds and can store them for up to 20 years. The FFC produces over 2 million trees each year. Patchell says processing – removing the seeds from the cones – will still be an issue moving forward. The FFC is able to do a small amount of processing on site but larger quantities will have to be sent away to either Timmins or Quebec. The cost to build the facility was about $70,000.